Advance CTE believes all learners should have access to an innovative CTE system that prepares individuals to succeed in education and their careers. 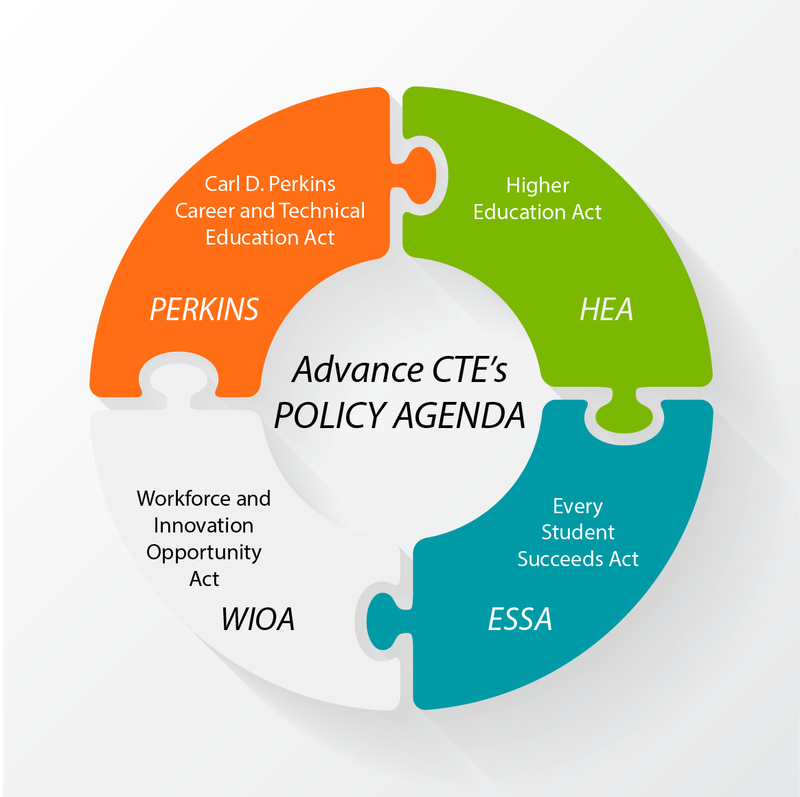 To accomplish this goal, Advance CTE advocates for policies and legislation that increase access to high-quality Career Technical Education (CTE) programs of study. Because CTE connects to education, workforce and economic development initiatives and programs, Advance CTE advocates for aligned systems and federal investments including but not limited to the Carl D. Perkins Career and Technical Education Act, the Every Student Succeeds Act, the Higher Education Act and the Workforce Innovation and Opportunity Act. Providing the tools and resources required to present a persuasive case for high-quality CTE and related policies and legislation. Follow the links on the sidebar for more information on our policy agenda. Advance CTE members can also access additional resources.